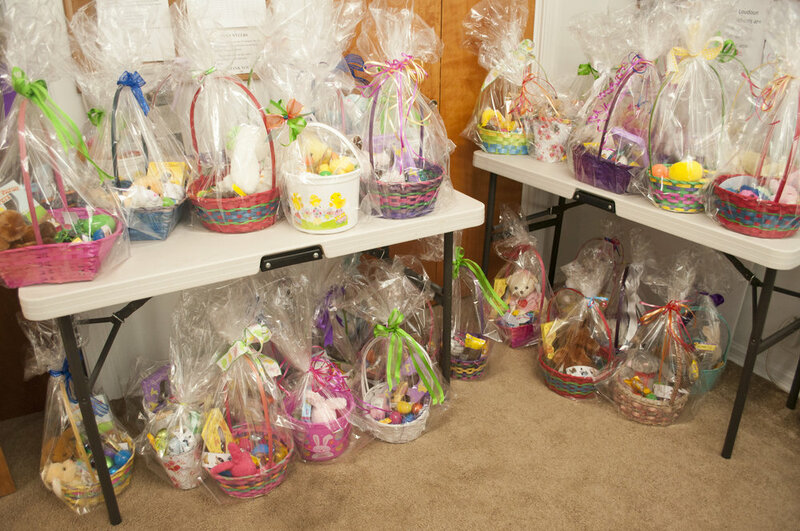 Thanks to Middleburg Emmanuel Episcopal Church and Middleburg Access National Bank, we were able to give the children we serve beautiful Easter Baskets again this year! We are so grateful for the time you all put in to making these adorable baskets for us. We are so appreciative for the pet food donations from Middleburg Humane and Wylie Wagg! Thank you Young Men's Service League, for filling our shelves with cereal! We are up to our ears in pet food, thanks to an abundant donation from Middleburg Humane Society! We often forget that pets are family, and they too need to eat. So thank you for your donation of 693 pounds, so we can help feed our furry friends in need. Winchester Harley Davidson Strikes Again! The Winchester Harley Davidson crew strikes again! They donated 2,067 pounds of canned goods and produce, and we are so thankful! Thank you, to the Winchester Harley Davidson group for your continued support. The Outpost had its 5th Annual "Help Us Help Others" Sale December 1st- 17th. They give all proceeds to local charities, and we were so fortunate to be one of the recipients. Thank you to the Outpost, for this donation! This contribution helps us continue our mission to feed those in need. We had a great time participating in the Middleburg Parade this year! We are grateful for the continued support from the community to help feed those in need. Thank you! We are so thankful for all of the food donations! It is a blessing to see our shelves full, so we can continue our Mission to feed those in need. Harley Davidson of Winchester has a food drive for Seven Loaves every year, and again, we are blown away by their generous donations for Thanksgiving. They brought 1,481 pounds of canned goods and Thanksgiving essentials, and we are so grateful to see our shelves full! Thank you, to everyone at Winchester Harley, for your continued support of Seven Loaves' Mission.